First Novels Club: Woody is Haymitch! OMG Woody is PERFECT as Haymitch! Yay!! Oh no, I don't see it!!! :( I always think of him as Woody from Cheers... I hope I'm pleasantly surprised when I see the film, but I was hoping for Hugh Laurie or Robert Downey Jr.
Man, I'd never have thought of Woody, but he's a great choice! @Kathryn, he tends to be a lot harder in film roles (even though Woody from Cheers is a fav) so I think he can bring the appropriate edge to Haymitch. LOVE it. I think both of these guys will do an awesome job! I am SO freaking excited for Woody Harrelson as Haymitch, AND Stanley Tucci as Ceaser! Ahh! @Kathryn--If you haven't, you might want to check out Zombieland. 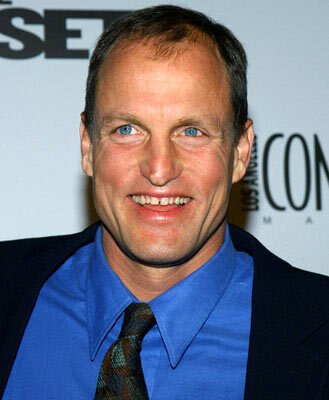 Woody Harrelson plays a character that reminds me v. much of Haymitch at times. I think Robert Downey Jr. is too entrenched as Iron Man at this point to pull off Haymitch. Now I want to know...who's going to be Cinna?! Woody is PERFECT! I hadn't even thought of him, but he'd be awesome, especially after seeing him in Zombieland. And Stanley Tucci will be incredible, too. PS - I love that I learned this news from my own blog. You go, Frankie! Way to be efficient! I think both are perfect!!!!!! I would never have thought of Woody as Haymitch, but I can definitely see it! I was hoping for Hugh Laurie - love him! - but I think Woody will be great! Wow, I never would've thought about Woody as Haymitch. I agree with some other commenters, I was secretly hoping for Hugh Laurie, but I bet Woody will be excellent. I can't wait for this. I can so see Woody in that role. Like Melissa, I pictured Haymitch as fatter. I totally never would have chosen Woody, but the more I think about his acting skills, the more I realize he could be excellent. 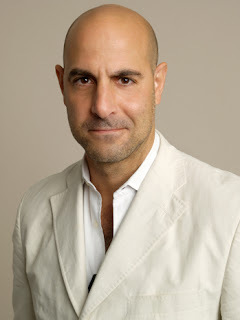 And Stanley Tucci will be. That goes without saying. Thanks for the heads-up, Frankie. Alright, alright. You got my attention.